How do you know you can reclaim PPI? Quite frankly there is as much confusion about PPI as ever. It amazes me that in all the literature and information that I have heard on radio and television I only ever hear the magic words PPI. Many thousands of people are in complete ignorance about what this term means and as a result do not have a clue whether or not they are entitled to make a claim. Perhaps the use of the full term Personal Protection Insurance might make people sit up and take notice. So just who should consider whether or not to find out more as it may be to there benefit? Do YOU have a mortgage, personal loan or credit card loan which was taken out in the last 10 years? Then read on because you may have been mis sold PPI. If you have taken out any of the above type of finance deal in this time span then the mortgage broker or finance company representative may have added PPI on as a lump sum payment in advance or may have added the insurance and you are paying it monthly as part of your monthly mortgage repayment. They may not have even mentioned the term PPI to you and you may still be in blissful ignorance about the fact that this insurance exists. YOU could be entitled to claim. 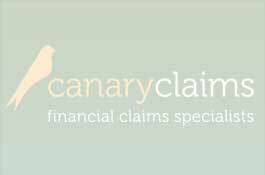 When you applied to take out a financial package were you told that you would be more likely to get the money that you were seeking if you took out this extra protection, thus leading you to believe that without it your claim would be likely to fail? YOU could be entitled to claim. When you made your application were you told that it was compulsory to take out PPI? YOU could be entitled to claim. When you were advised to take out PPI were you informed that you could shop around for the best deal to suit your personal circumstances? Or were you led to believe that you had to take the deal being offered to you? YOU could be entitled to claim. Were you unemployed when you were sold PPI? YOU most certainly are entitled to claim. When you were sold the insurance were you on a fixed term contract in your employment? YOU most certainly are entitled to claim. Were you suffering from an existing medical condition which might result in a later claim? YOU most certainly are entitled to claim. Were you retired or about to retire within the period of PPI? YOU most certainly are entitled to claim. Was the period of your financial agreement longer than 5 years? YOU could be entitled to claim. When examined in detail are you paying a lot of money for PPI? It could be the case that the policy you have been sold is almost worthless to you because the amount you are paying outweighs any relief you might get on making a claim. YOU could be entitled to claim. Do you think that you may fall into one of the above categories but your loan is now paid off so it is not worth your while applying? YOU are still entitled to claim. As your loan is now paid off do you no longer have any paper work? YOU are still entitled to claim.